* Students can experience 19th century ragtime first-hand with A Piece of Cake (walk). 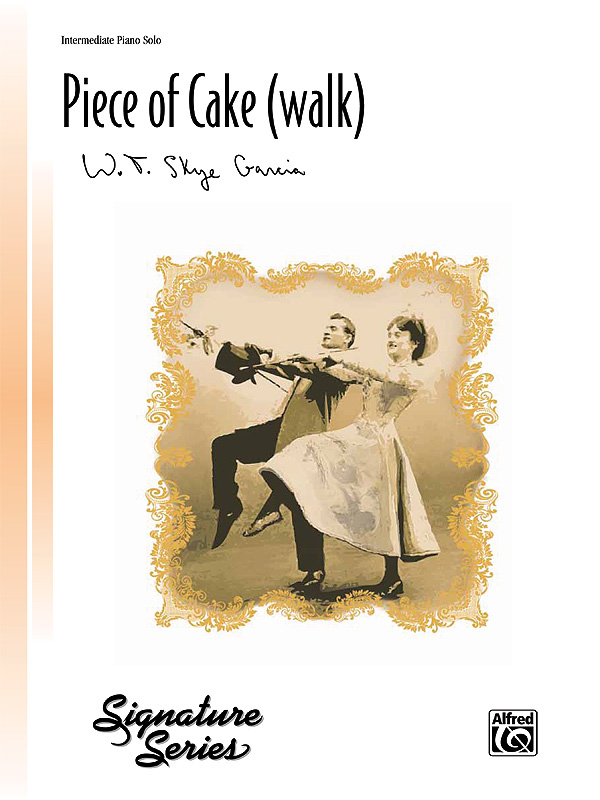 * Originally written as a dance, the cakewalk was often performed by banjo, upright piano, or small jazz bands. * Students should picture these instruments as they strut across the keyboard in style! * Chromatic lines rise and fall above a playful staccato bass line as this 4/4 solo in C major dances its way through many varied dynamics and accent marks. * These accent marks should be played with great gusto to truly capture the dance style of the cakewalk!